Christina Breslin Roberts joined Pappano & Breslin in January of 2015. Her practice areas include drafting estate planning documents, including wills, revocable trusts, special needs trust, general powers of attorney, advanced health care documents and living wills. Christina also has experience administering and probating large and small estates in Delaware, Chester and Montgomery County. Prior to joining the firm, Christina was an associate at the law firm of Morgan Lewis & Bockius in Philadelphia, PA. At Morgan Lewis, Christina was part of the litigation department where she represented and defended companies in product liability and mass tort litigation. She was also actively involved in pro-bono work, spending the majority of her time doing work for the Support Center for Child Advocates. 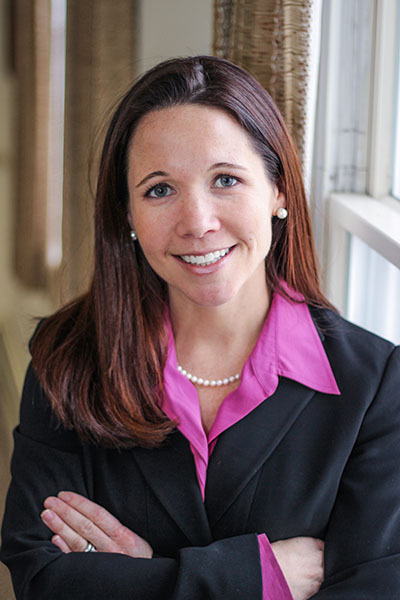 Ms. Roberts received her Bachelor’s degree from the University of Richmond in 2000 and earned her Juris Doctor degree from Villanova University School of Law in 2003. Christina was born and raised in Media, Pa. where she currently resides with her husband, Jason and four children. She is a member of the Pennsylvania and Delaware County Bar Associations.